Stout, mobile and reliable. 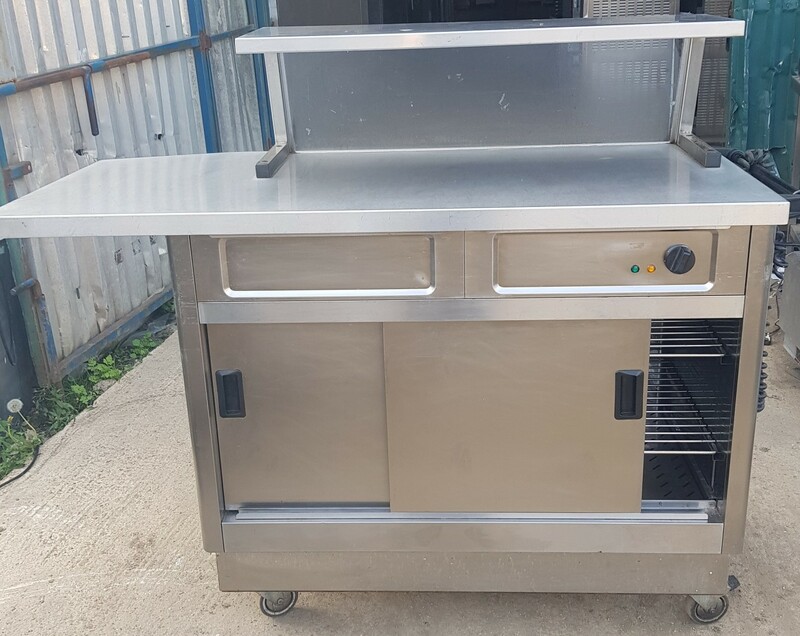 This is a Lincat hot cupboard with extended work surface and single ambient gantry shelf. Ideal for a chef pass in a compact space. On wheels for easy moving. Excellent condition. Designed for the fast food sector. 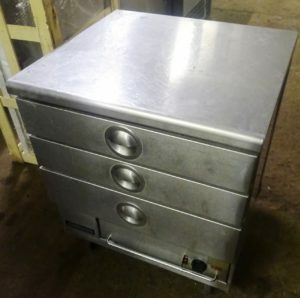 This 3 drawer warming cabinet is designed to keep fried foods hot without drying them out.